Electrical cabinets are at considerable risk for fire due to power surges, overloaded circuits, wire fatigue, and equipment failures. Why rely on the full room system just to extinguish a fire in a single electrical cabinet? Our in-cabinet fire suppression is ideal for individual electric control panels or cable trays. 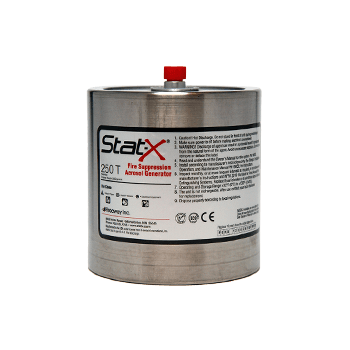 Stat-X® fire suppression provides the end user with a means to contain the fire to the enclosure. When a fire breaks out, the Stat-X aerosol system protects the enclosure and prevents the fire from spreading to the full room. By containing the fire event to the cabinet, the damage can be limited.